Business Development Leader - Extrusion, Maag Automatik, Inc. There seems to be some confusion in the industry with respect to equipment design and operation. This presentation will define the issues and effects of PLA extrusion on the life and performance of the downstream extrusion equipment. Different scenarios will be presented for the analysis of risk versus cost of equipment design for use with PLA products. The use of best practices in the operation of extrusion equipment with respect to the minimization of design cost and maximization of the life and performance of the downstream equipment will be explored in detail. Finally, recommendations will be made for the design and operation of downstream equipment in typical applications. 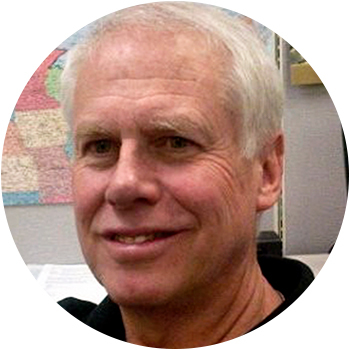 Dan Smith’s career in the Plastics industry started with Luwa Corporation in 1982. There he was involved with Gear Pump Assisted Extrusion, Polymer Filtration, Gravimetric Extrusion Control and Polymer mixing. He worked with Maag Pump Systems from 1999 – 2001 as Extrusion Market Manager. From there he went to ENTEK Extruders as Sales and Marketing Manager from 2001 – 2002. From there he was a partner in JLS International from 2002 – 2005 and was Vice President of sales and marketing for PSI-Polymer Systems from 2005- 2007. After that he rejoined Maag and is currently Business Development Leader for Extrusion Products. Dan served on the SPE Extrusion Division Board of Directors from 1991 – 2006 as Sponsorship Chair, ANTEC Technical Program Chair and Chair. He rejoined the Extrusion Board 2011 and retired from the Board in 2018. He wrote the sections for Gear Pumps, and Polymer Filtration for the “TAPPI Extrusion Manual” and the SPE “Extrusion Guide” and has presented numerous technical papers for ANTEC and for Regional Technical Programs. Dan has degrees from the University of South Carolina and the University of North Carolina and currently resides in the Charlotte, North Carolina area.